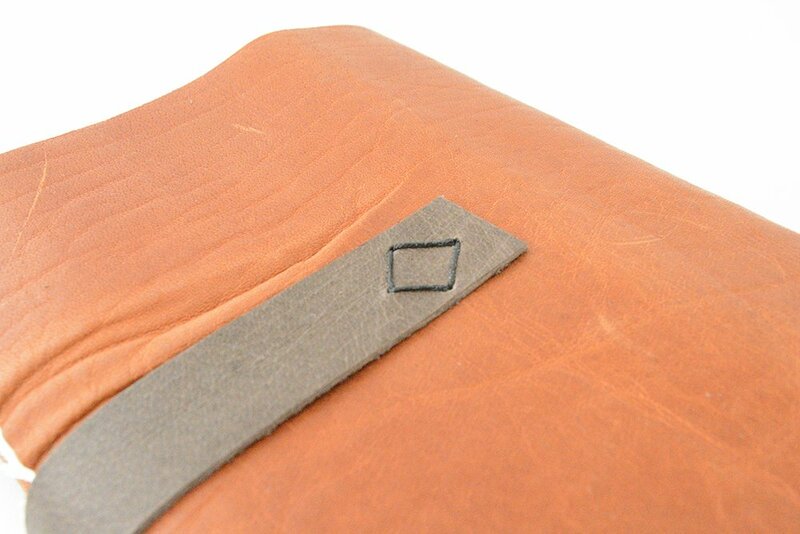 Here’s book number 33 in my 50 Book Project: a 3-signature binding with a continuous diamond pattern. 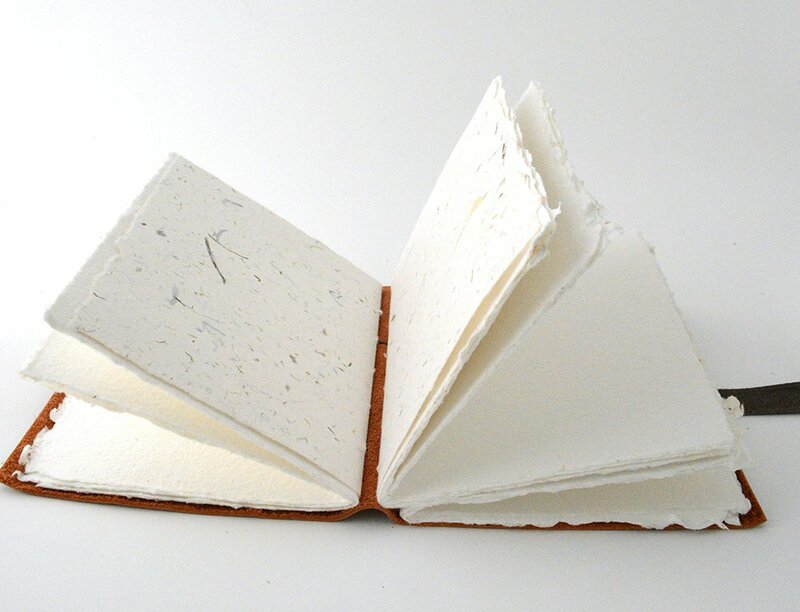 This is another binding from Keith Smith’s book, 1,2 & 3 Section Sewings. 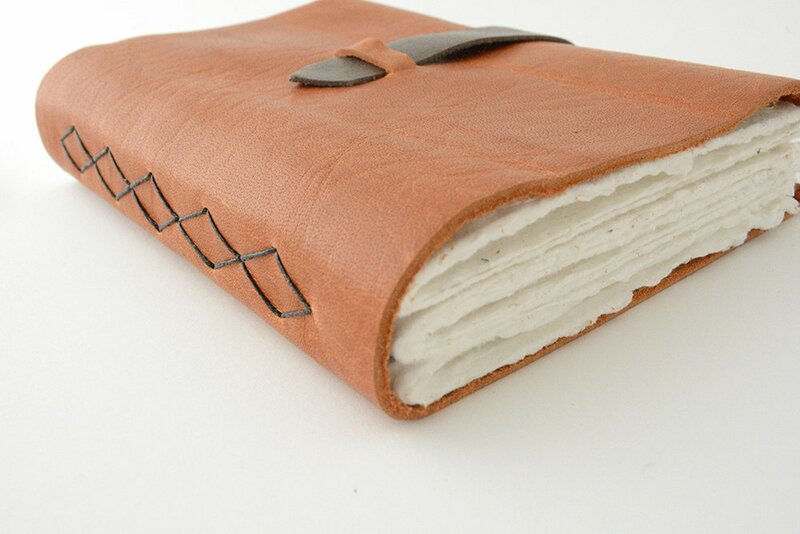 The cover is a rustic tangerine leather and the inner pages are hand torn white handmade paper. 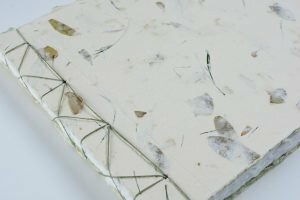 Each signature is wrapped in a piece of botanical leaf paper, which you can see below. 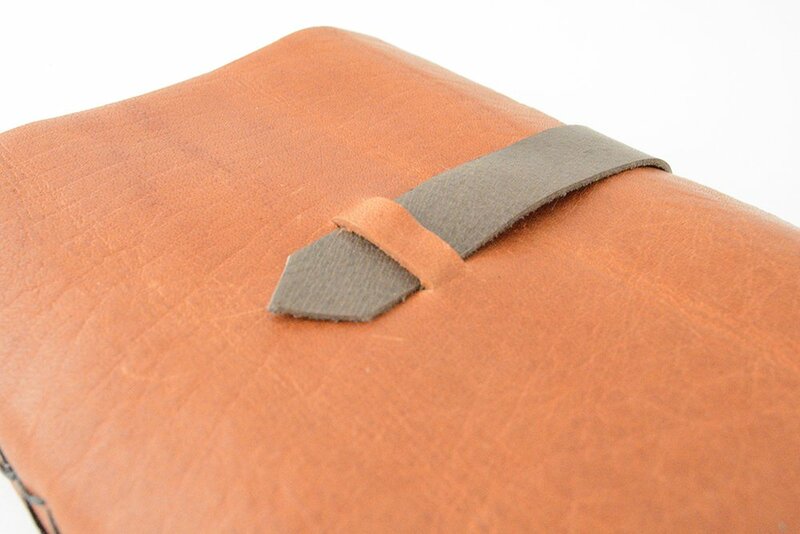 I cut a small brown leather strap, sewed it on the back and threaded it through two slits on the front cover. This book is on its way to a new home for a recent graduate. Hi Ali. 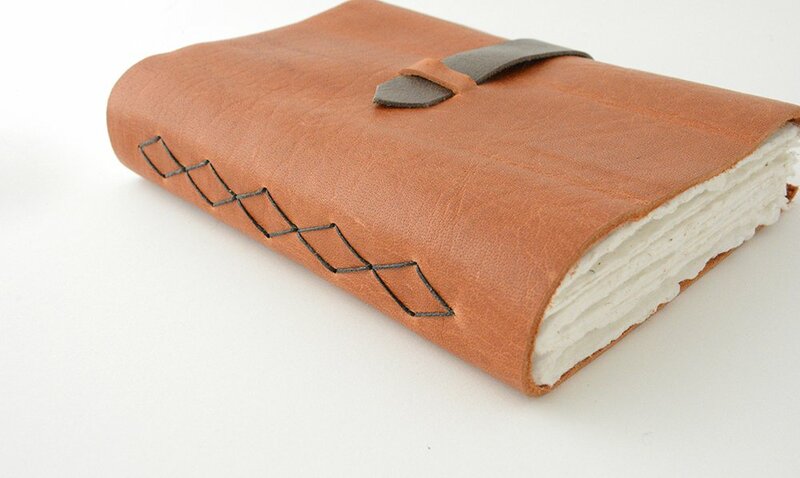 Just curious: what is the size of that beautiful journal?